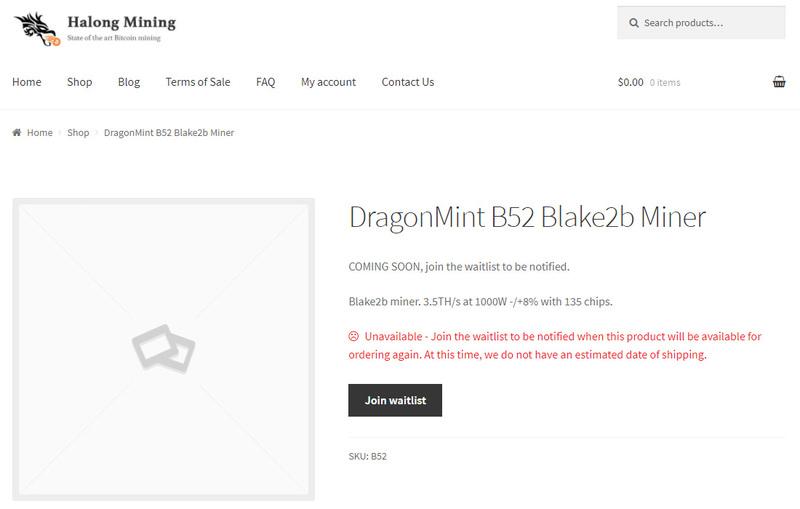 Things around the SiaCoin (SC) ASIC miner market seem to be heating up lately as soon after the new BitMain Antminer A3 Blake (2b) ASIC miner was announced there is a fresh new announcement coming from another new ASIC manufacturer for a Blake2b ASIC Miner. 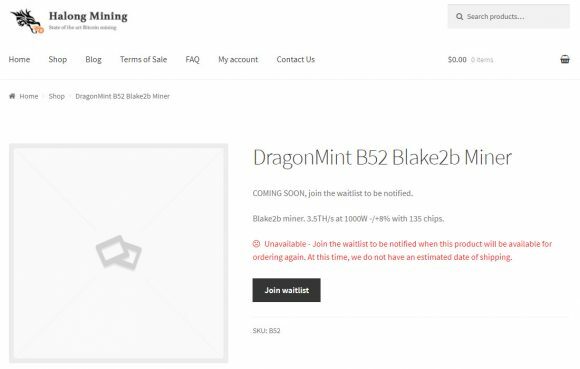 The DragonMint B52 Blake2b ASIC miner was just announced by Halong Mining, a newcomer on the ASIC market that looks promising, but we are yet to see it start delivering any mining hardware. The device they have announced is supposedly capable of 3.5 THS Blake2b mining hashrate at 1000W -/+8% with 135 ASIC chips, making it probably the most efficient ASIC for SiaCoin (SC) if they manage to deliver what they are promising of course. There are not many details, including price or release date for the device and it seems more of a move to judge the interest by launching a waitlist, but still interesting to see there are possible alternatives popping up. So you might want to keep an eye on the product and join the waitlist to get more details as soon as they become available.